Of course, nothing can ever replace the real-deal canopy of trees in the wild. On the other hand, if your home, office or school happens to be located in an urban community that does not have enough trees to provide shade from the harsh heat of the sun, then your best option is shade canopies. 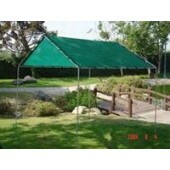 At CanopyMart.com, we specialize in large selections of shade canopies. Our shade canopies will truly transform your outdoor lounging experience and allow you to take the festivities outdoors more often. Manufactured to provide 73% shade and block out 27% light, these shade canopies make perfect patio covers or picnic area covers. Our shade canopies are built to last with a sturdy steel frame and breathable UV protecting mesh fabric. They protect you, your loved ones, or your customers from being directly exposed to the sun’s harmful UV rays as well as light drizzle while still allowing them a nice outdoor experience. Our shade tents’ semi-permeability allows cool air to circulate, making the entire covered space a whole lot cooler, by as much as 10 degrees or more. They can make your restaurant or café more inviting. Customers can dine outside while enjoying the fresh air. By properly and strategically installing shade canopies, the direct entrance of the harsh rays of the sun can be blocked from entering your home or restaurant. Apart from the obvious reasons of health, practicality and safety, shade canopies can also dramatically add a low-cost but nonetheless aesthetic appeal to your home or café front. 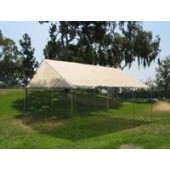 Our very durable yet budget-friendly shade tents come in different sizes and colors to suit your specific needs. You can also take advantage of our portable shade canopy, which makes installation, removal and transfer a whole lot easier. This type of canopy comes in very handy as you can take it down with less effort for safekeeping from storms, or install and remove it more quickly for family picnics and outdoor gatherings.